Rory Solomon presents his CB radio project, live at Wave Farm’s “Lodge” show at Riedlbauer’s Resort in Round Top, New York Aug. 26, 2017. 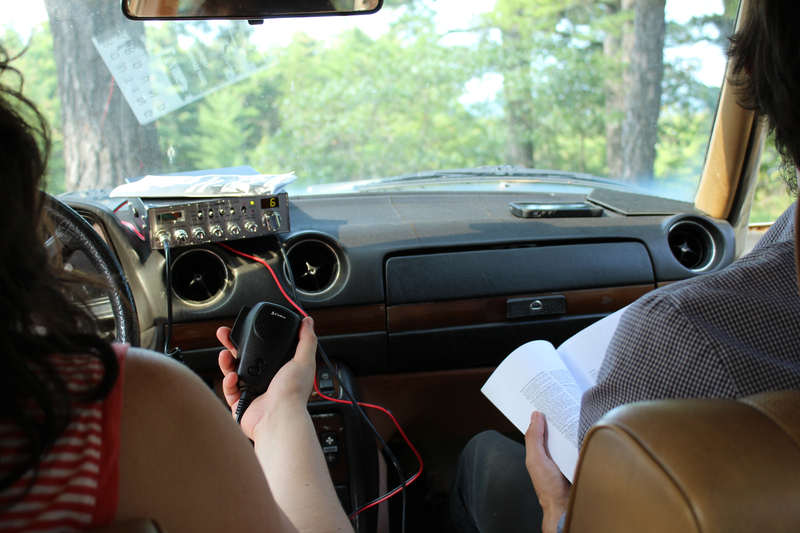 Solomon reviews citizens band radio history in the United States, and relates CB radio today to mesh networks. Solomon also plays a CB radio game with participants during the show. Photo by Bryan Zimmerman. This entry was posted in #39 and tagged Wave Farm/WGXC-90.7FM. Bookmark the permalink.